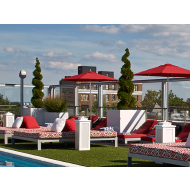 NewPro Containers maintains a large inventory of commercial outdoor planters in a variety of sizes, shapes, and materials to perfectly fit your landscaping designs. 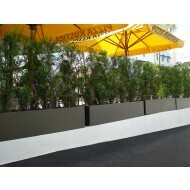 Our outdoor pots are built to last and lend themselves well to high traffic areas and special events. Register or login to see wholesale pricing for professional landscapers, plantscapers, landscape designers and landscape architects. 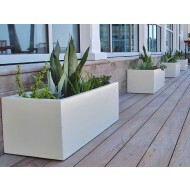 Plastic planters are lightweight and extremely durable. 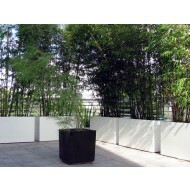 Perfect for both spacious indoor and outdoor atmospheres, large resin planters are great for those looking for a pot that is low maintenance yet beautiful. When choosing a plant container, keep in mind that smaller pots tend to dry out more quickly than their larger counterparts. If you are performing maintenance calls once a week, it's probably best that you avoid small planters that will most likely need more frequent watering in the warm summer months. 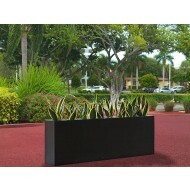 Oversized planters are excellent decorative pieces. 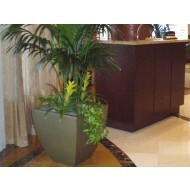 Use them at entryways, in hotel lobbies, or on a golf course. The options are limitless! 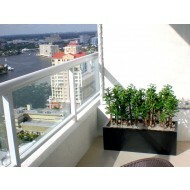 Plant container can be portable. 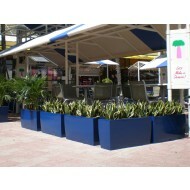 Large plastic pots have the benefit of being easily moved indoors as needed during the cold winter months. 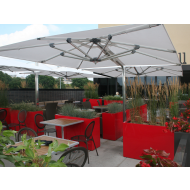 While planters are portable without the use of casters or coasters, it is still helpful to take advantage of these options to aid in transporting them from place to place. Remember that heavy materials, such as stone and concrete are not easily moved. Once filled with soil and water, these hefty pots are most likely going to be a permanant fixture.